The updated Samsung Galaxy Note 4 will utilize a faster processor. The new version of the 5.7-inch phablet will be the first device on the market to feature the new Snapdragon 810 SoC and will become available in South Korea next month. 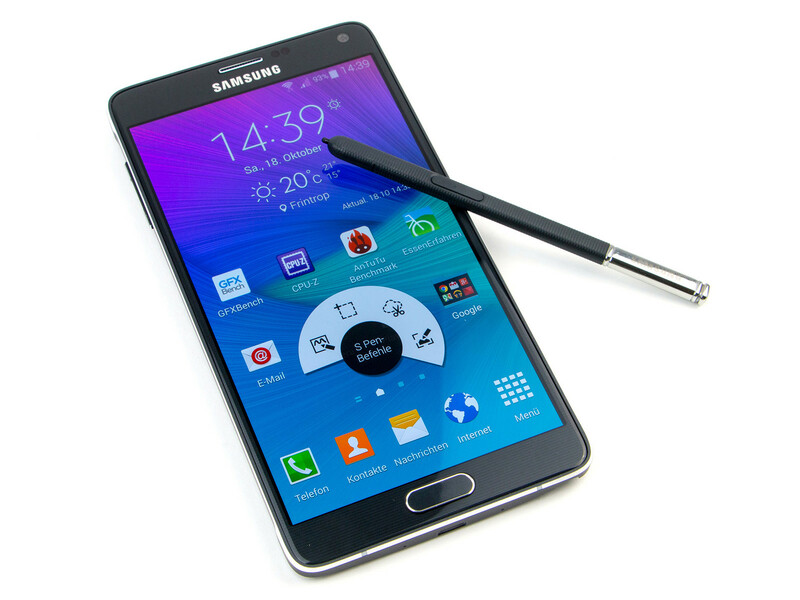 Indubitably, the Galaxy Note 4 is an impressive device as it stands, but an increase in performance is always welcome - and the new version of Samsung's flagship phablet promises exactly that. While the Note 4 currently selling in the US and Europe is equipped with Qualcomm's Snapdragon 805 SoC (other countries have to settle for just as powerful but less sought after variant with Samsung's own Exynos 5433 Octa), the updated model will feature the long-expected Snapdragon 810. Unlike the predecessor, it is manufactured on a 20nm process and thus should be more efficient - hopefully, enough to eliminate the GPU trottling discovered in our test of the existing Note 4. The number of processor cores has doubled and they are now 64-bit capable, which should come in handy once an update to Android 5.0 Lollipop is ready (as of now, the device is said to ship with Android 4.4). Qualcomm also promises that the Adreno 430 graphics in the new SoC will be about 30% faster than Adreno 420 in Snapdragon 805 (and thus about 80% faster than Adreno 330 in S800/801), which puts it just behind the Kepler-based GPU in both variants of the nVIDIA Tegra K1 SoC. Additionally, the phablet now supports LTE-A with theoretical download speeds up to 450 Mbps once the first commercial networks providing such speeds are rolled out in 2015 (according to Samsung). The rest of the specifications will remain the same: among them are 3 GB of RAM, 32 GB of internal storage with microSD expansion up to 128 GB, 16 MP rear and 3.7 MP front camera, dual-band 802.11ac Wi-Fi, Bluetooth 4.1 and the outstanding Super AMOLED Quad HD (2560x1440) screen. Sadly, the microUSB 3.0 port which was present in Galaxy Note 3 but mysteriously vanished in Note 4 is still missing, which leaves the potential buyers stuck with USB 2.0 speeds. Meanwhile, the most disappointing news is that the new version is only planned to be released in South Korea for now - it is expected to go on sale there in January 2015. While it's logical of Samsung to target its domestic market first, the updated Note 4 will certainly be well received among mobile enthusiasts in other countries, which leaves us hoping that a trip to Seoul won't be necessary to acquire the device a few months from now.